In October of 1968, our agency was formed in order to fulfill a need for quality and care for with individuals with intellectual and cognitive disabilities. Since then, we have grown tremendously and expanded our services to help provide supports to a multitude of individuals and families. From our humble beginnings we have grown and into the innovative agency we are today, providing an ever-growing list of services including brain injury services, transportation, day services, residential, and a variety of services for children and families. 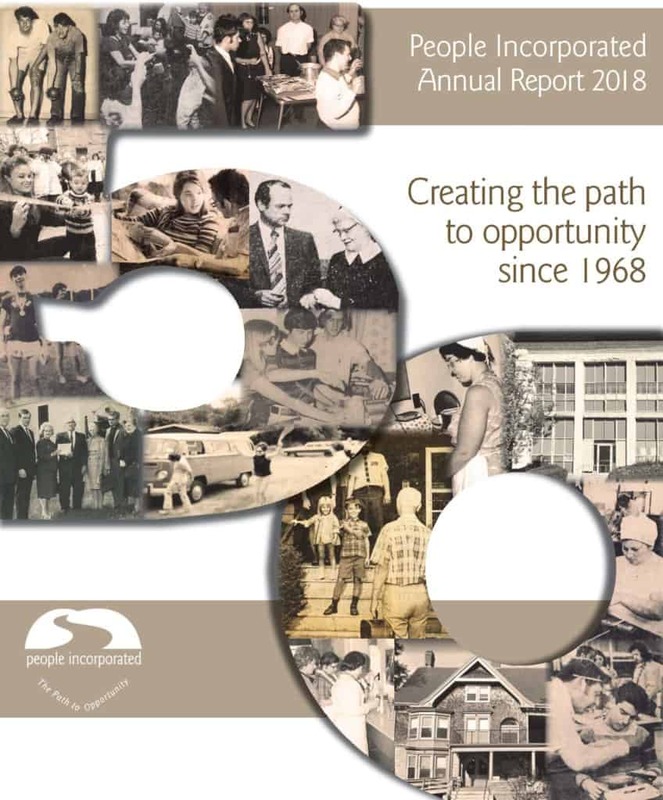 A lot has changed over the last fifty years, but People Incorporated has been always present in the community, being sensitive to how demands for services shift and actively making the changes necessary to meet those demands. As we look towards the future, we are ready to face the new challenges it will bring as we are guided by our mission of strengthening the community for each of its members by providing premier services for children and adults of all abilities in a collaborative and creative environment. Anniversary message from our Chair and President/CEO is here. Learn about our 50th Anniversary Celebration by clicking here.